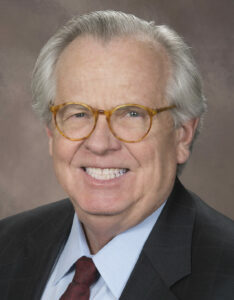 Smith Elected to University of South Carolina's Board of Visitors - Harrison White, P.C. The University of South Carolina’s Board of Trustees recently elected Harrison, White, Smith & Coggins, P.C. founding shareholder Danny Smith to represent the 7th Judicial Circuit on its Board of Visitors. Smith, a USC alumnus, will begin the three-year term on September 1. Members of the Board of Visitors serve as ambassadors who advocate in their communities on behalf of the university. “I am pleased to return service to the university in this way, and look forward to advancing the image and brand of USC within the Upstate,” said Smith. A native of Spartanburg County, Smith received a B.S. degree in business from the University of South Carolina in 1971 and then immediately enrolled in the university’s School of Law. After receiving his J.D. in 1974, Smith worked for a year in the Columbia office for the Veterans Administration before returning to Spartanburg, where he has practiced law ever since. Harrison, White, Smith & Coggins, P.C., came into existence in 2000, when its four founding shareholders merged a collective 100-plus years of legal service and experience to form a new partnership. Today, the firm features 12 attorneys and is one of the largest litigation firms of its kind in Upstate South Carolina. For more information about Harrison, White, Smith & Coggins, P.C., visit spartanlaw.com.